Hey there! 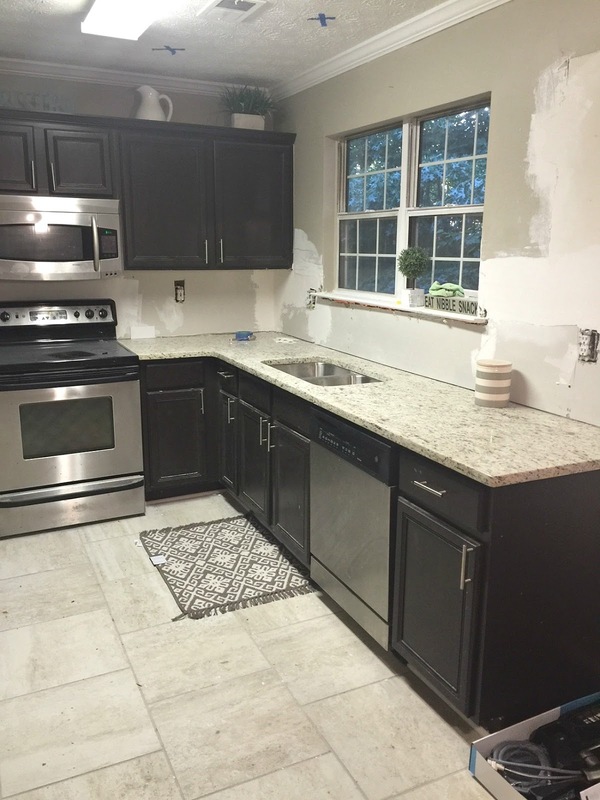 Super excited that I have a kitchen update for you guys this week! Last week, I got my flooring installed and my old backsplash torn out. 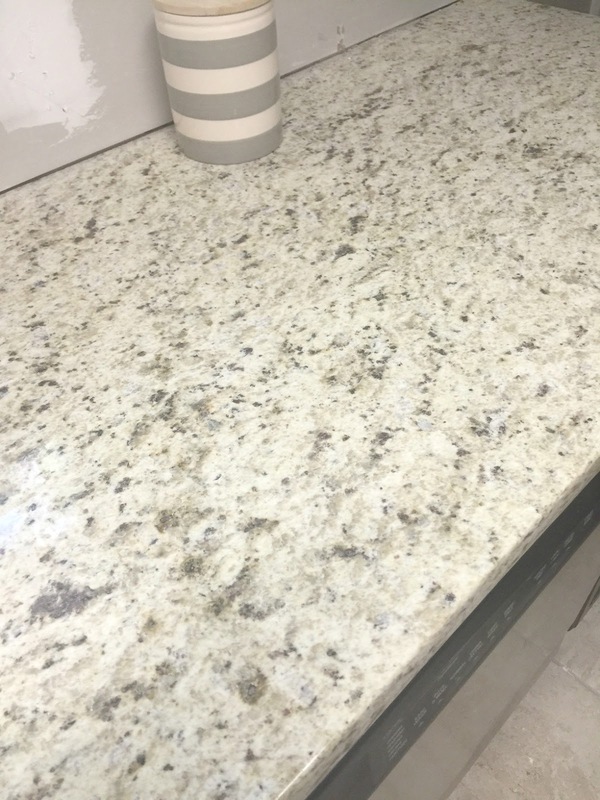 Earlier this week, I got the drywall patched and smoothed to prepare for the new backsplash and I also got my new granite countertop! And here we are so far! 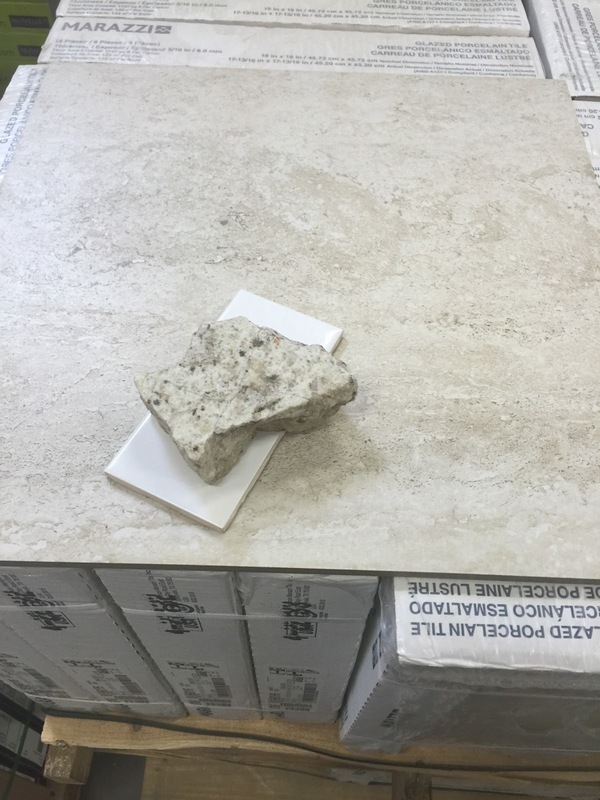 For flooring, I went with a porcelain tile from Home Depot with grout in Delorean Gray. My last floor was 12×12, but I decided to go up in size and this size is 18×18. It definitely has taken some getting used to, but I think its beautiful. You have to work with me on the dust and stuff on the floor. 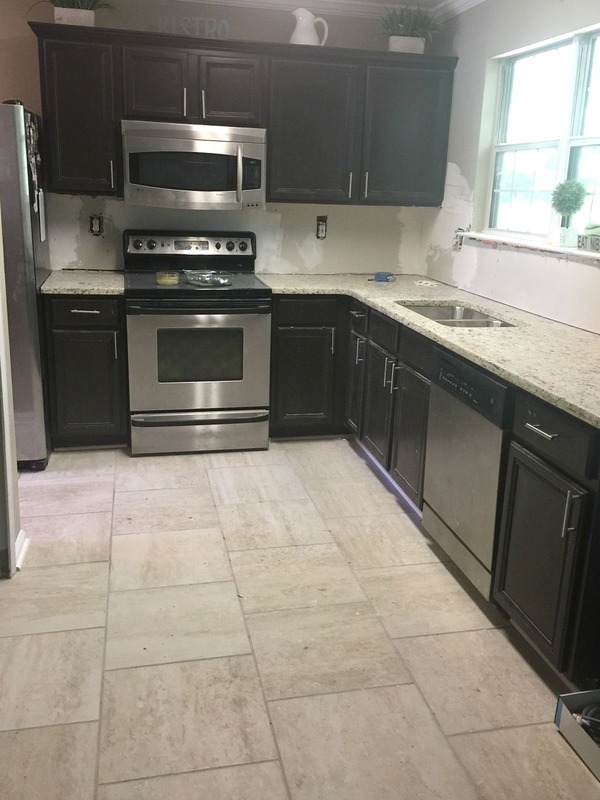 As I am getting all of the work done in my house, keeping things clean has been a thing of the past because installing the flooring and removing the backsplash has done nothing but create so much dust. Once I get drywall sanded again, I will begin to get things cleaned up. My faucet is getting put in today and hopefully we will begin installing backsplash this weekend. 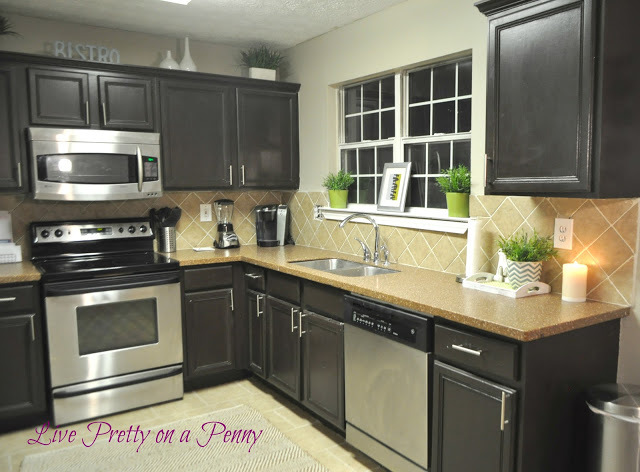 You can check out my kitchen plans here, see where this urge to do the kitchen makeover came from here and here, and check out other kitchen post here and here! Don’t forget to follow me on Instagram where I share quick snippets during the makeover. Next Post Office Reveal Day! Looks so good. Love the new flooring with the countertops.